Early on, when I first started this site, I wrote a paean titled La Pavoni Love Call to an old espresso maker I had that was called La Pavoni. That espresso maker sputtered out its last brew soon after I wrote the piece and was replaced by another La Pavoni, this one very efficient, but just not as vocal. 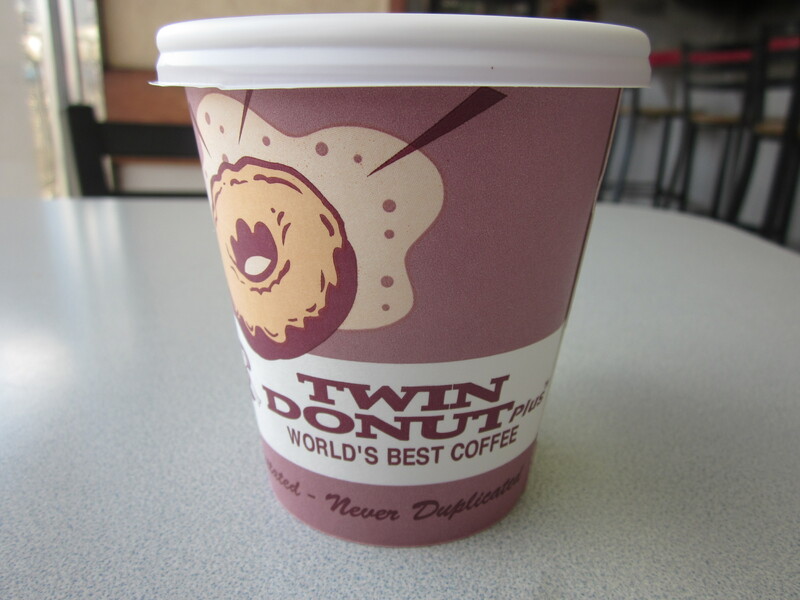 Since then I’ve neglected my espresso and coffee love on this site until recently when I posted Rooftop Iced Coffee. 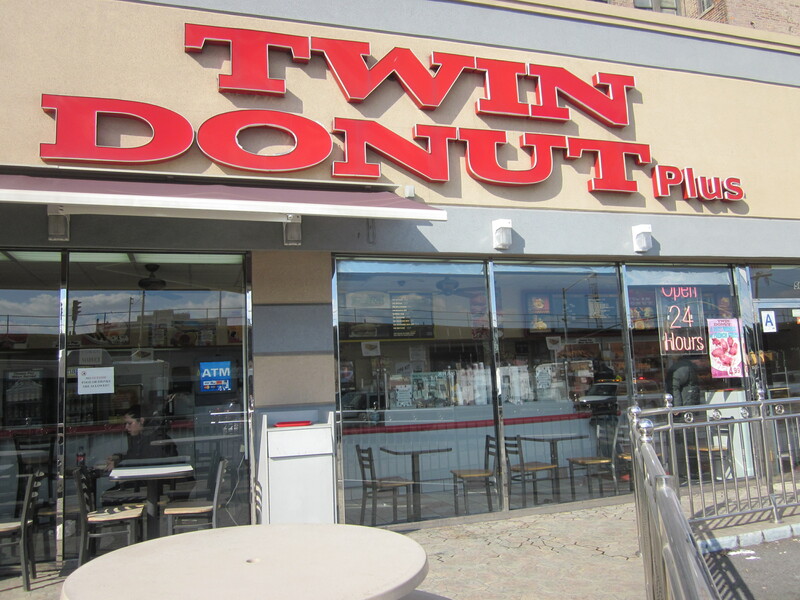 I hope now to include coffee into the Fried Neck Bones…and Some Home Fries repertoire under this newly formed category, The Caffeine Chronicles beginning here with a photo salute to one of the few remaining Twin Donut spots in New York. 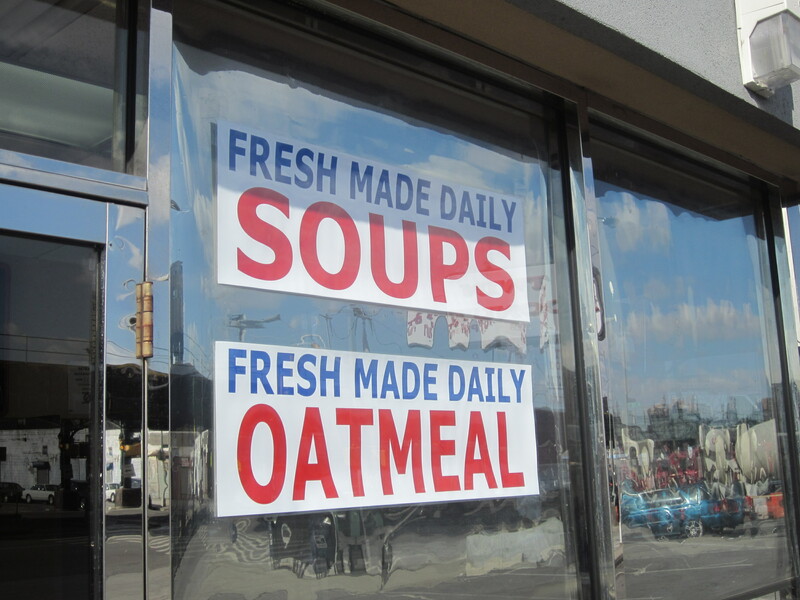 Does “Plus” mean that fresh made soups and oatmeal are available along with coffee and donuts? I didn’t ask. 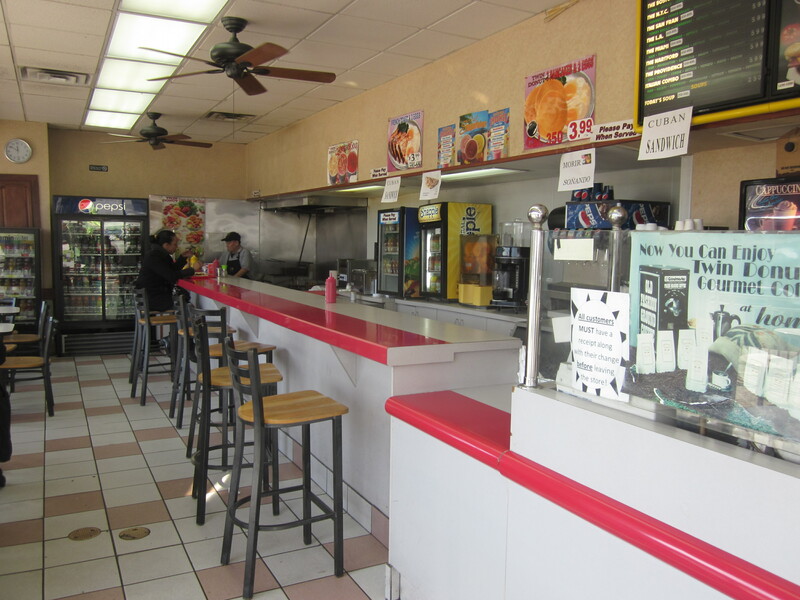 Now that’s a counter where a person can really enjoy coffee and a doughnut. 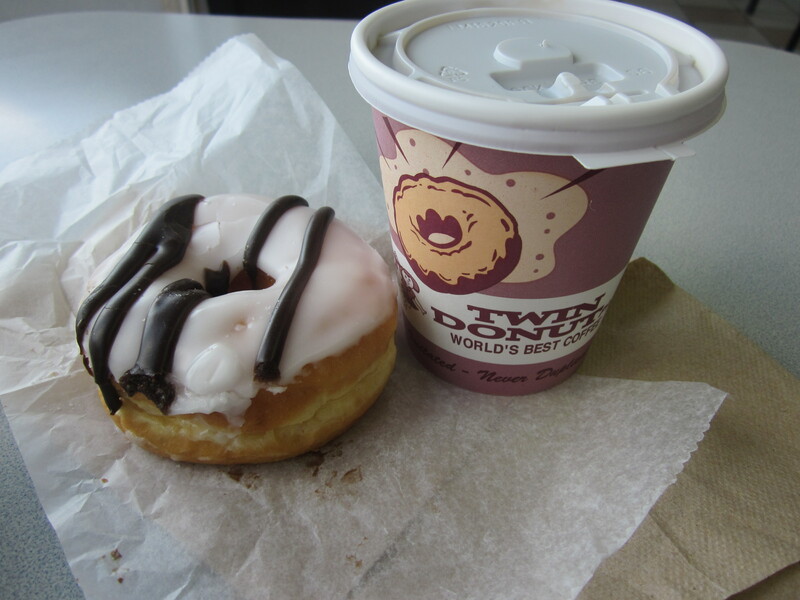 But any caffeine deficiencies were easily overcome by the addition of the vanilla marble doughnut that accompanied the coffee.